“Hotel Rwanda” is a touchstone of interventionist ideology, writes Ann Garrison. Debunking that script helps show why the closure of the assassination case against Rwanda’s President Paul Kagame serves Western interests. Most Westerners believe that the Rwandan Genocide was the simple story of good and evil told in the hugely successful film “Hotel Rwanda,” but there is barely a moment of “Hotel Rwanda” that is not carefully constructed propaganda. The film was produced to convince the world that demon Hutus murdered a million innocent Tutsis in 100 days in 1994, that the U.S. and its NATO allies failed to intervene, and that their failure obligates them to intervene “to stop genocide” anywhere in the world from hereon. Obama’s foreign policy team—most prominently Secretary of State Hillary Clinton; U.N. Ambassador Susan Rice and Samantha Power, a national security advisor—invoked the Rwandan genocide over and over, as did the press, to justify destroying Libya and beginning the aerial bombing war that continues in Syria today. The propaganda has also been used to justify Rwandan President Paul Kagame’s invasions, occupation and resource plunder in the fabulously resource rich Democratic Republic of the Congo (DRC). Western press and governments have portrayed him as Rwanda’s savior and characterized his invasions of DRC as the defense of Rwanda against “Hutu genocidaires” who fled into the DRC as he and his army advanced and seized power. Essential elements left out of the “Hotel Rwanda” construction include the 1990-1994 Rwandan War and massacres that concluded in the infamous hundred days. The tragedy happened over four years’ time, not 100 days, and both Hutus and Tutsis were massacred, Hutus by Kagame’s army. Another missing element is the unsolved crime that triggered the final bloodletting of the final 100 days: the assassination of Rwanda and Burundi’s Hutu presidents, when a surface-to-air missile downed their plane as it was approaching the airport in Rwanda’s capital Kigali on April 6, 1994. No one has ever been convicted of the crime, and there is enormous Western pressure to make sure that no one ever is. Overwhelming evidence implicates Kagame, but he is a key U.S. ally and “military partner” in Africa, and the “Hotel Rwanda” story is a key touchstone of Western interventionist ideology. Kagame has nevertheless been accused and his inner circle indicted in both French and Spanish courts, where French and Spanish citizens claim jurisdiction because their family members died in the plane shoot-down or the ensuing massacres, but both of those cases have been shut down. Last month, geopolitics trumped international justice again—just in time for Christmas. On Dec. 21, a French court closed the long-running case against Kagame and his inner circle for assassinating Rwandan President Juvenal Habyarimana and Burundian President Cyprien Ntaryamira, both of whom were Hutus. Nearly 25 years later, there are still no convictions for the assassinations that turned first Rwanda, then DRC, into a vast killing ground. Not in the International Criminal Tribunal on Rwanda, where two investigations of Kagame were shut down, and where a judge told defense attorney Tiphaine Dickson, “We don’t investigate plane crashes [or Tutsis, only Hutus].” And not in the French or Spanish courts. The subtext of the Rwandan War and the ensuing Congo Wars was competition between the U.S./U.K. and France. France, which was then the dominant power in the region, had been the patron of Habyarimana’s Hutu government; the U.S. and U.K. backed Kagame’s invading Tutsi army, which emerged victorious in 1994, declared that English would from thereon be Rwanda’s international business language, then invaded and occupied French-speaking Zaire (now the Democratic Republic of the Congo) two years later. France and Rwanda have engaged in a bitter argument off and on for all these years about who was responsible for the 1994 Rwandan genocide. Their embassies have often been closed in one another’s capitals, and France pulled out of the 20th anniversary commemoration in Kigali after Kagame once again accused France of participating in the killing. One of the recurring points of contention is Opération Turquoise, France’s emergency relief response, which began on June 23, 1994, several weeks before Kagame, then a general, seized power in Kigali. 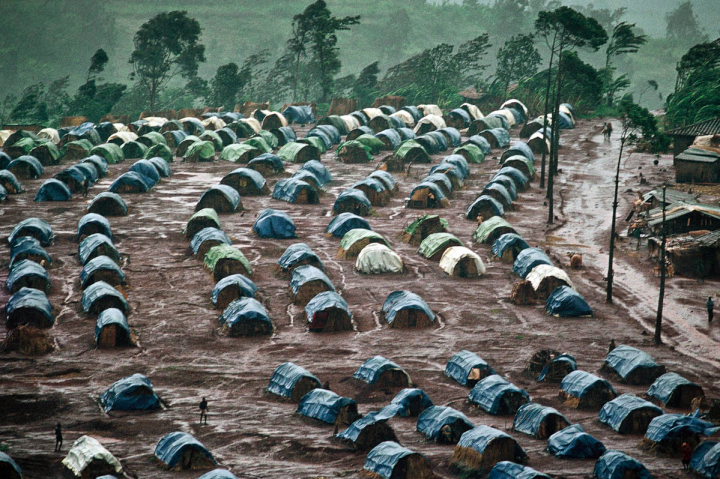 Some French officials who were in office at the time, most notably former French Foreign Minister Alain Juppé, have maintained that Opération Turquoise created a humanitarian corridor for Rwandan Hutus fleeing into Zaire, for fear of being massacred by General Kagame’s advancing Tutsi army. Kagame’s government has claimed that France instead provided an escape route for Hutus guilty of genocide, although the vast majority flooding into Zaire were civilians, including women, children, and the elderly. 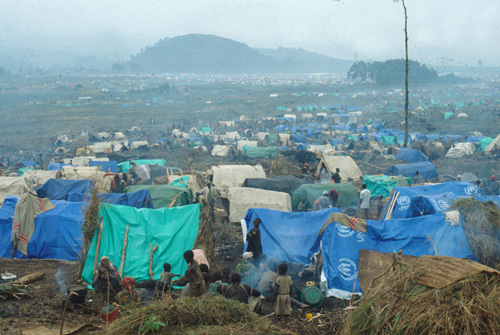 According to the 2010 UN Mapping Report on Human Rights Abuse in the Democratic Republic of the Congo, 1993-2003, Kagame’s troops followed the refugees into Zaire and massacred as many as 250,000. France of course wants its share, and French officials now in power have decided to close the case against Kagame in order to secure access to Congo’s riches, which he significantly controls. The court’s ruling came shortly after Rwandan Foreign Minister Louise Mushikiwabo became secretary-general of La Francophonie, an international organization similar to the British Commonwealth, in what was widely perceived to be another concession to smooth French-Rwandan relations and ease France’s imperial access in DRC. 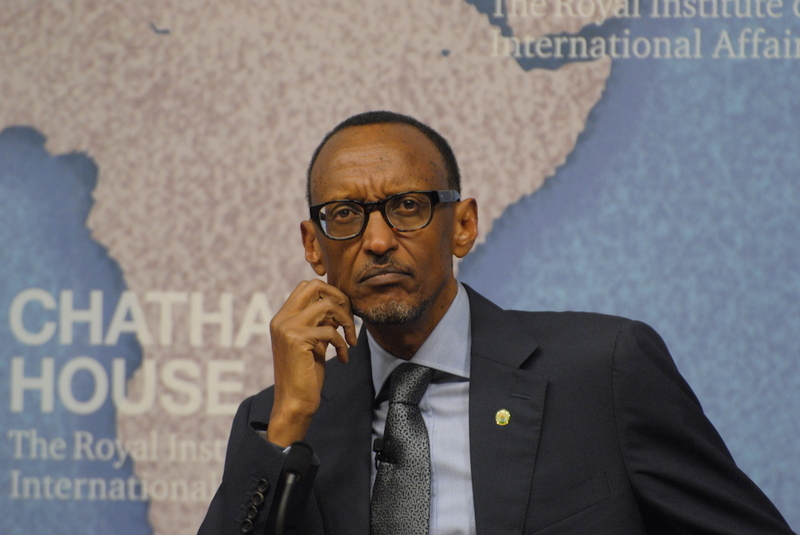 Kayumba Nyamwasa: Paul Kagame undoubtedly. BBC interjection: General Nyamwasa has offered to cut a deal with the French judge to testify.